Front Mission is a turn-based strategy RPG reminiscent of Final Fantasy Tactics, Shining Force, and Advance Wars. You and your team pilot customizable mechs known in-game as Wanzers. You can equip these with a variety of armor and weapons, making for great replayability. This game has been translated into English and is now fully playable in our CiB release. 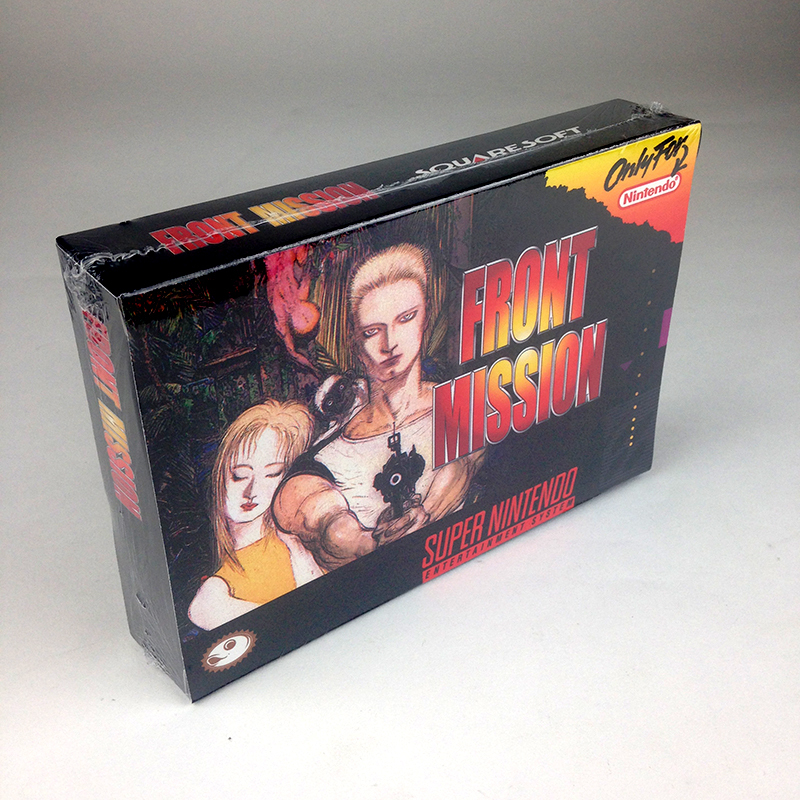 Front Mission carries characteristics from Final Fantasy Tactics and Shining Force. The battles take place on an imitation 3D battlefield, and battle encounters take place in a separate animated sequence. The Wanzer bodies consist of two hand weapons, two shoulder components (missile launchers, shields), and 7 body components (2 legs, 2 arms, body, computer, and backpack). I talk more about them in Tips & Strategy. There are various Wanzer abilities that develop stronger as you use them. For example, if you have a Wanzer constantly attack with missiles, its long-range attack accuracy will increase, and towards the end of the game it’ll learn various targeting techniques that give you the option to choose exactly which enemy part you want to hit. If you have a Wanzer constantly attack at close range, its close-range attack accuracy will increase, and towards the end of the game it’ll learn various targeting techniques or weapon techniques (like multiple attacks). After you win a battle, you’ll almost always enter a new town afterwards. Browsing towns is entirely menu-based. In them you can go to the coliseum to wage battle for money, shop for new weapons/parts/items, manage your wanzers, save, and enter the local pub to talk with the townspeople. The translation into English is nearly 100% complete. There’s only one section aside from various death-scenes where it’s still in Japanese – and that’s a flashback where you still get the gist of what the guy is saying.